Few people know better than Delta Force soldiers that life is unbearably short and achingly precious. So Cormac Fletcher isn’t waiting one more day to marry the love of his life, Emily. Fletch has already adopted her daughter, Annie. Now it’s time to officially make Emily his too. 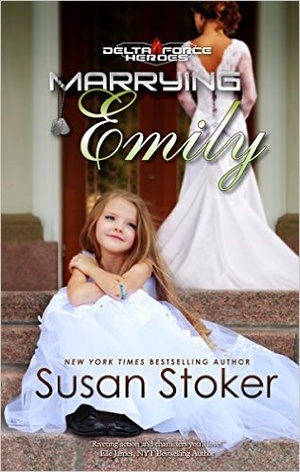 Emily understands just about every woman experiences a few wedding snafus―but they’re usually not of the harrowing, life-or-death variety. Fortunately for her, a guest list full of Delta soldiers and SEALs will make this an event to remember―for both Emily and the uninvited guests trying to ruin her special day.